The phone rang on this past Wednesday. I checked the caller ID – Guest Communications from Walt Disney World. I took the call. I couldn’t help thinking about a line from the film Field of Dreams. It’s the “People will come” speech that James Earl Jones gives near the conclusion. America has rolled by like an army of steamrollers. It’s been erased like a blackboard, rebuilt, and erased again. But baseball has marked the time. For Disney, the constant hasn’t been a game with a ball, a glove, and a bat, but the magic made from the pencils and paintbrushes of dedicated artists who gave us classic films generations have enjoyed, and who inspired the creation of fantasy kingdoms where people could forget their troubles for a while. 1n 1989 Disney built their third theme park in Florida, called at the time Disney-MGM Studios. Funny thing is, it was actually meant to be a real working studio, and for Disney, that meant an animation unit – the second one set up outside of California (the first had been in London to assist Richard Williams on the film Who Framed Roger Rabbit). On Opening Day of the facility, May 1, 1989, a ceremony was held to dedicate the Animation Studio. In attendance were Ken O’Connor, a longtime Disney art director and consultant to the film for the walk through attraction (more about that later), and four other men: Marc Davis, Ward Kimball, Frank Thomas and Ollie Johnston. 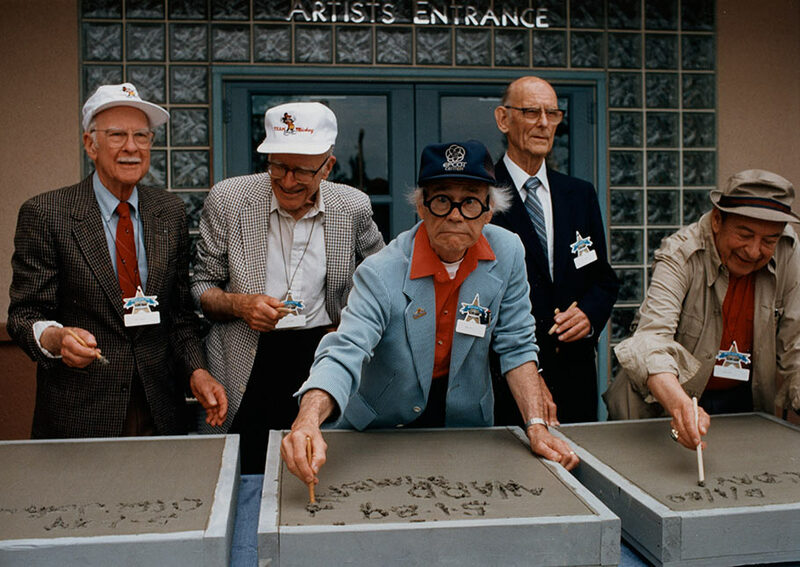 The four surviving members of Walt’s Nine Old Men, his core group of animators there with him from the beginning. They were here in Florida to celebrate this opening. 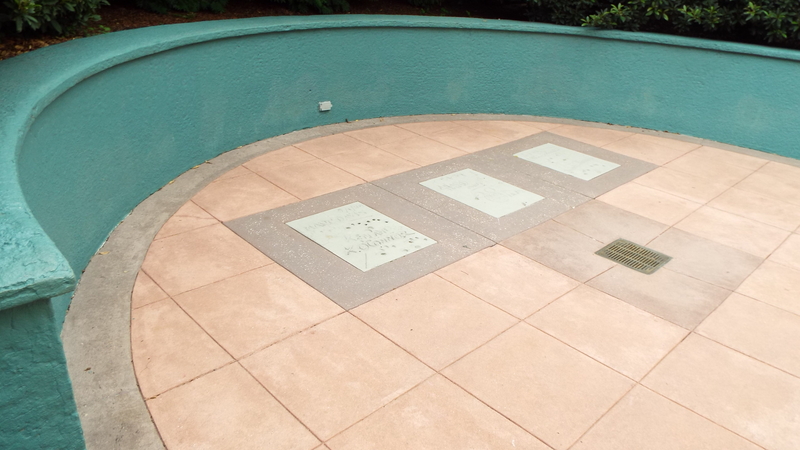 To commemorate the event all five Disney Legends put their hand prints, their pencil prints and their signatures in cement. Eventually, those blocks found their way into a little courtyard that was backstage, in an area only Disney artists (cast members – never employees) worked. In those days, the building had a public walk through attraction. The Magic of Disney Animation started with a film titled Back to Neverland that starred Walter Cronkite and Robin Williams. This is three years before Aladdin, but you can already see the manic energy in Williams’ work. After that, people walked along an elevated path – and on either side below, behind glass walls, were the animators hard at work, creating the magic. Now for someone like me, this was akin to being given a glimpse into Merlin’s workshop. They were making real magic an eighth of an inch away. In hindsight, I’m guessing it probably got really old really quick for the animators. There are rumors, apocryphal tales on the wind, of some who would spot a cute young lady walking by and manage to exchange phone numbers before her tour was done. Those concrete pieces with the names and handprints stayed there through the years as artists came and went, projects moved through, the unit produced its own films (Mulan, Lilo, and Stich, and Brother Bear). I can’t help but wonder, did any artist, stuck on a problem, come out to and sit there, trying to find the link through that moment back through the history of the other artists? Did a hot day there inspire the ice cream jokes in Lilo? Flash forward to 2004. Changes in public tastes, poor performances by a series of films and success of computer animated films signal then end for Disney. In 2002, they had already closed down the hand-drawn animation in California. In 2004, they did so in Florida, leaving a partially completed film literally on the drawing boards. Within months all the equipment to produce hand drawn animation at the Walt Disney Studios was sold. The Magic of Disney Animation changed to a short interactive film about character design, a series of meet and greets with costumed characters, and a small drawing classroom where people got 15-minute lessons on how to draw Disney characters. When the Imagineers renovated the buildings to allow for this, the private courtyard was now public. This meant that the signatures of the Disney Legends could be seen by anyone. But a funny thing happened. No one said a word. The fact these slabs were there never gets mentioned in any guidebooks, any articles or stories. Cast members who work at the attraction never point them out to visitors. In fact, many of them don’t even know the slabs are there. I’m a certifiable Disney-phile. I’ve been thousands of times. I didn’t know they were there. 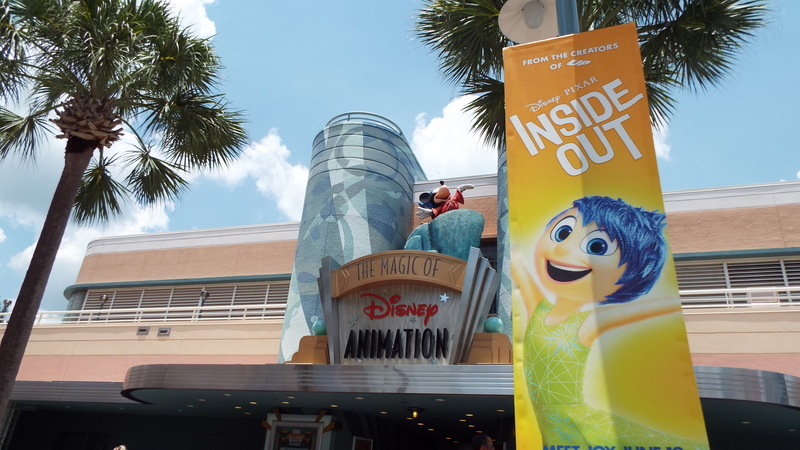 In late June, it was announced The Magic of Disney Animation was closing for good on July 12. So on July 4, I went to visit, to document the place. That’s when I found the three slabs. For me, it was the equivalent of finding a 50-pound gold nugget sitting in the middle of the desert. True Disney history. And no one knew what would happen to it. I started asking questions. Lots of questions. I got annoying about it. I asked people I knew in Hollywood to please get me help me find a way to get in touch with the Walt Disney Archives. They all blew me off because, to them, this was no big deal. But I still asked, up until the day the attraction closed, because history matters. Legacy matters. Artistic recognition matters. On Wednesday, I received the answer. The signatures of those five men were saved. Wrapped in bubble wrap, sealed in plastic, placed on a shelf in a warehouse in Glendale, CA, preserved where no one will ever see them again. Somehow, it’s not quite an H.E.A. But now I’ve got a different job, I think. Those signatures were put there to connect the animators working in Florida with the legacy of Walt Disney at his own drawing board decades earlier. With their departure and the building’s demolition, that chapter is being erased. And maybe I need to tell it. This entry was posted in Disney, Writing and tagged animation, Archives, Disney, Frank Thomas, Ken O'Connor, Marc Davis, Ollie Johnston, Studios, Walt Disney World, Ward Kimball. Bookmark the permalink.